Even though it seems pretty obvious, many people don’t realize that anemones have mouths. It is always found right at the center of the tentacles. We do not usually get a very good look, since anemones are quite adept at keeping their tentacles waving around in a very distracting and entertaining way. Sometimes there’s a fish covering up the mouth. 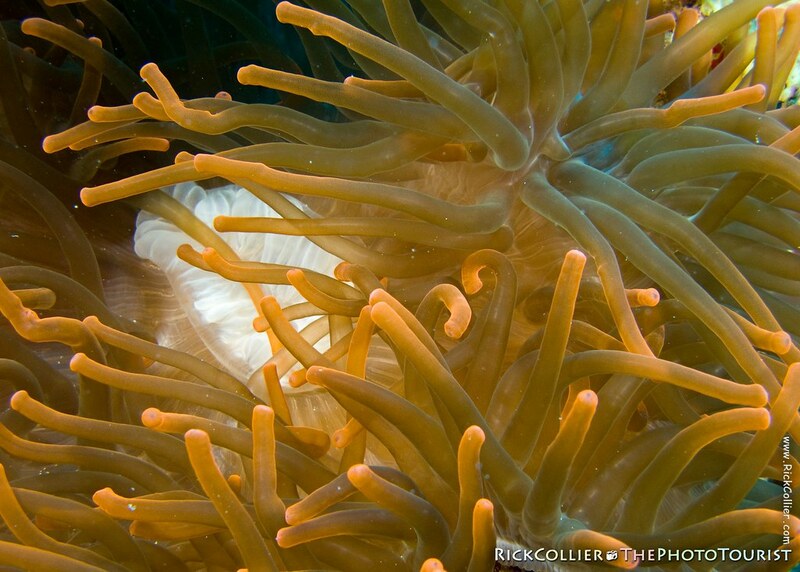 But sometimes a lucky photographer comes across an anemone with a white mouth that will become more colorful and seem to glow when shot with a lucky placement of strobe lighting. This entry was posted on Monday, September 28th, 2009 at 19:41 PM. It is filed under thePhotoTourist, Underwater and tagged with anemone, anemone mouth, destination, dive, diving, Egypt, Jackson Reef, mouth, Red Sea, reef, scuba, scuba dive, scuba diving, Straits of Tiran, Tiran, Tiran Straits, Touring Egypt, Underwater. You can follow any responses to this entry through the RSS 2.0 feed.